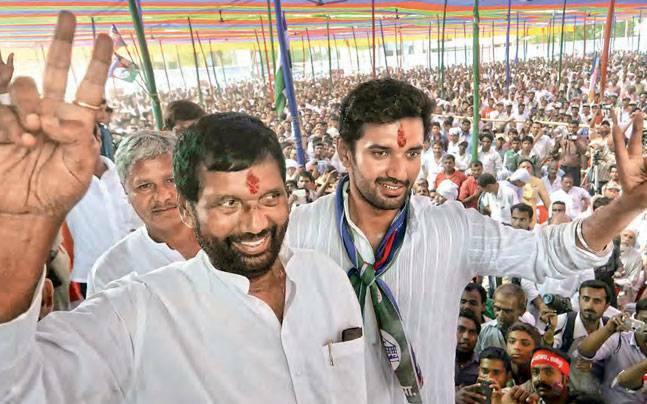 Due to health issues Ram Vila Paswan won’t be contesting in the elections; hence, his son Chirag Paswan will be taking the lead. Repeating 2014, he will be contesting from Jamui Sansad of Bihar, where first phase of voting has already happened on 11th April. And, along with his core team, he is also not convinced and confident about his stance there. Everyone is now thinking that why isn’t he contest from Hajipur seat, as per traditional way of doing it. Hajipur has had his father ruled over it for decades, which can provide for Chirag an effective platform to set his foot on the election playground.